Bill's best time to date is 7.10 @ 198 winning the JBP Quick 4 @ Norwalk Ohio in 2003. Look for this car in 2004 to be running mid to high 6's at way over 200 mph. Engine is a 522 cid with a 14-71 blower on injected alcohol with KRE billet alum heads, boosting 35 lbs. 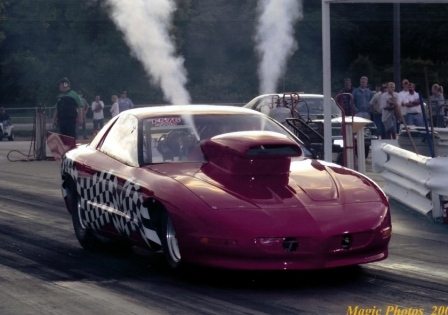 This is Jim and Mark Picketts 1997 Prostock Firebird! There the first to break the 7 second zone with an all naturally aspirated Pontiac engine. Fastest pass to date is a 7.97 @ 172 mph. This was done with a KRE High Port Wenzler headed 504 cid engine with dual 825 Demon carbs and KRE sheet metal intake. This is Tom and Carla Moon's 1969 Grand Prix. Running a complete KRE built 501 with our 335 cfm CNC'd heads. Tom's best pass to date is a 8.88 @ 151. Dave competes with his Tempest at all the NSCA Pro Nostaglia races. Best time to date is a 8.95 @ 150.5. Car weight is 3150 w/driver. 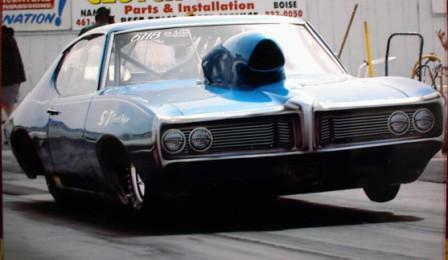 George Zimnicky's 1974 GTO, running a KRE built 518. George is one killer bracket racer running into the 8.60's @ 153. You want to be on your toes if you ever line up against this car and driver! Kevin & Deloris run the this street trimed Grand Am at almost all the mid west Pontiac events. This is one bracket racer that is somebody to deal with running in the low 10's. Roger runs this high wheel standing 9 second Goat out of Michigan. You can always catch this crowd pleaser at the Pontiac Nationals in Norwalk, OH. 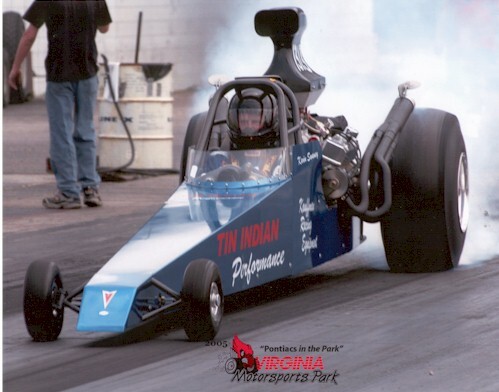 Here's Kevin Swaney's rear engine dragster sponsored by Tin Indian Performance. 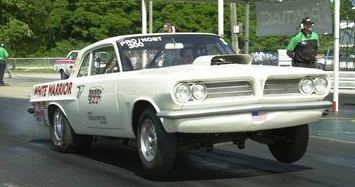 Catch this digger running high 7's at most of the National Pontiac events on the east coast. Setup with a 462 CID with KRE High Port heads. 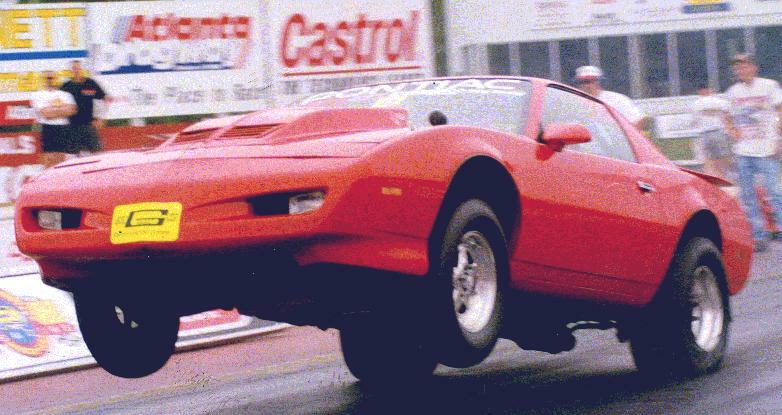 This is Brad Smuland 97' Top Sportsman Firebird. This car runs solid 7.80's on a 250 shot of juice with a KRE MR-1 High Port headed 505 cid engine. Tim's engine was featured in the High Performance Pontiac Mag. as a 675 HP engine. 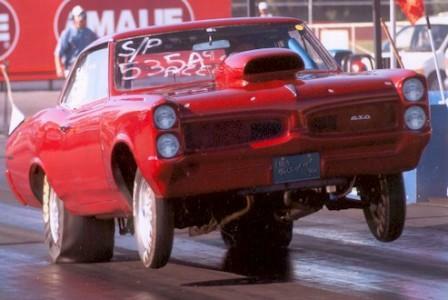 Now working at 710 Hp Tim's wheel standing bird runs in the 9.50's @ 3200 lbs. This is Tom & Amy Richcreek's 65' GTO. You pretty much can catch them at just about all of the Pontiac races in the mid west & east coast. This 3500lb car is running 10.70's on a 440 cid flat tappet Alum D-port headed engine. 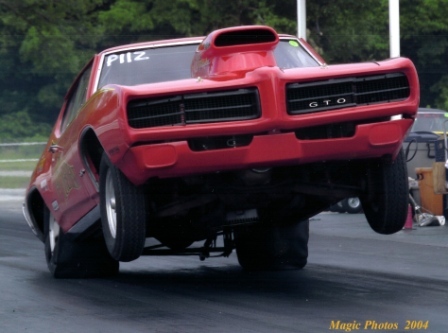 Another wheel up pass for Mike Williams 66 GTO. This KRE build 463 alcohol injected engine runs 9.40's all day long. This killer bracket car runs out in the Northwest (NHRA Division 7)in the Top Sportsmen and Top Comp classes. 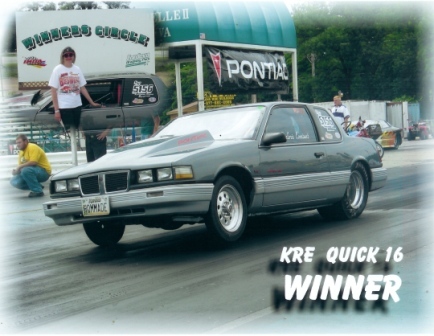 With a new 601 cid KRE built engine he gathered 3 Walley Trophies in 2004. Even more impressive is the ET this car has turned in the quarter mile at 8.01 @ 167 in full race trim of 2550 lbs. Dave competes every weekend at his local track with his dragster. This is one tough bracket racer running low 8's in the quarter. Watch coming up against this car!